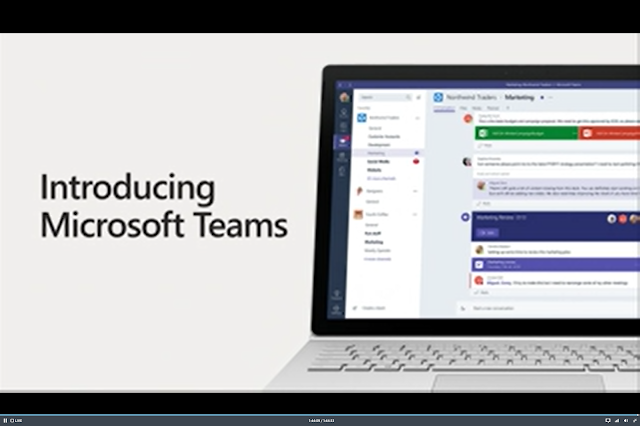 \>Get-CsJosh -Blog: Welcome Microsoft Teams to the Microsoft Collaboration Portfolio! 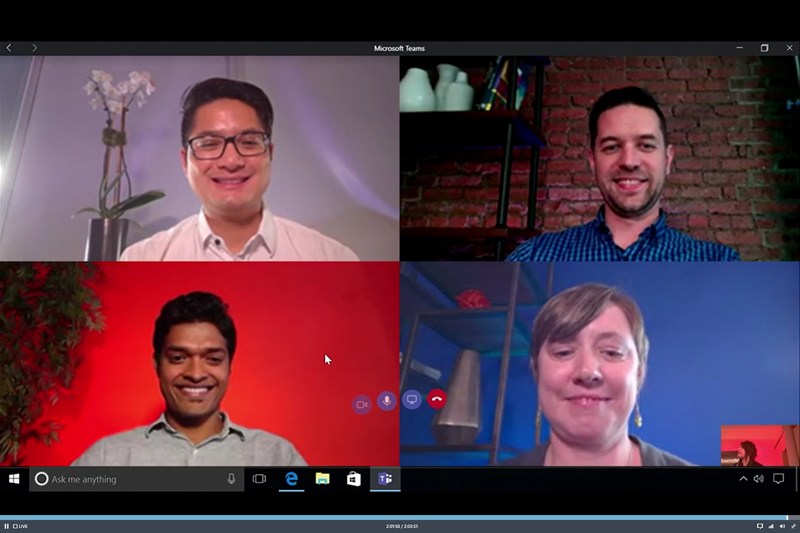 Welcome Microsoft Teams to the Microsoft Collaboration Portfolio! Today Satya Nadella, Microsoft's CEO, took the stage in New York City, along with Office CVP Kirk Koenigsbauer and other special guests, to make some incredible announcements. Chief among these announcements was the arrival of a new collaboration tool that will compete against the mounting momentum of rival product Slack: Microsoft Teams! While Microsoft Teams is probably the single biggest announcement in the Skype for Business world since Cloud PBX and PSTN Calling, it is deeply integrated with the whole Office 365 suite, bringing an incredibly powerful collaboration machine to the enterprise that will be tough to ignore. Teams is in Preview starting today, November 2, 2016, and is targeted for General Availability in Q1 of 2017. Jump on that Preview as early as you can. This announcement has been rumored and anticipated for several months now, but the rumors have finally been put to rest. So what are the impacts of this announcement for those of us in that live and breath unified communications, primarily Microsoft unified communications? First, many organizations have largely and quickly adopted Slack as an easy, convenient, and readily-available tool to meet the need for persistent conversations among teams within its walls (and sometimes outside its walls). 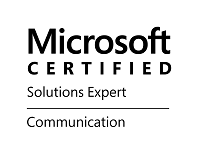 Many who are not as familiar with this topic may be quick to point to Persistent Chat within Lync Server 2013 and Skype for Business Server 2015 as a suitable solution. 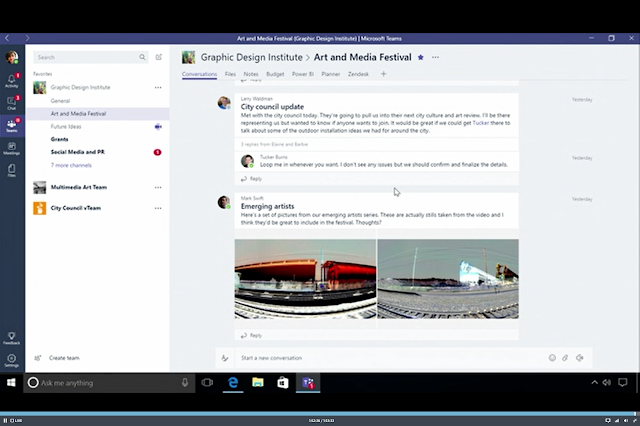 At first glance, yes, Persistent Chat would be a great tool for meeting such a need. Unfortunately, Persistent Chat has not been actively developed for quite some time now, and among it's primary limitations is that it ONLY works on Windows clients. That's right, Mac and Linux users can not take advantage of Persistent Chat, and for some organizations, that fact alone makes Persistent Chat a non-viable option for inner-team chat collaboration. With the need for persistent chat-like communications among teams with clients of various OS types, and Persistent Chat development not budging to meet this need, organizations began looking for alternatives. Slack happened to be the solution that fit the bill best, and was the easiest for teams to quickly adopt. This presented a great opportunity for Slack in the market; it had an "in" for taking a larger slice of the collaboration pie. It wasn't long before new features started popping up on the Audio and Video side, which of course, meant stronger competition for Microsoft's Skype for Business and other collaboration tools. Clearly, Microsoft needed to address this, and it needed to do so quickly. This is where "Teams" comes into play. 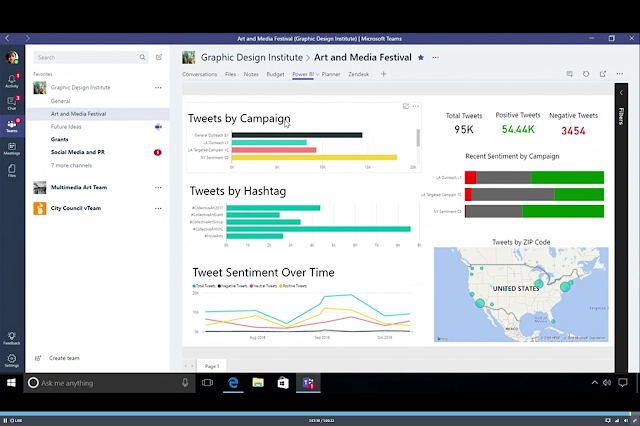 The beauty of Teams is that it will be made available within Office 365. This means that it will slip nicely into current workflows of the droves of organizations that are already taking advantage of Office 365 for their collaboration needs. It is essentially "Persistent Chat" for the Cloud! Purchasing an add-on or additional subscription is VERY easy within Office 365, and assigning it to a user is even easier. This means that the time spent deploying the solution will be greatly improved, in comparison to a completely separate tool. What about the fact that it is not FREE - that it is a paid subscription, and Slack is free? While it is true that there is a free version of Slack, there are also paid versions of Slack with advanced features and capabilities. 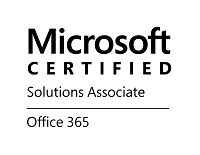 Many organizations have opted to pay for these advanced features, and if they can achieve the same functionality while utilitizing their current Office 365 platform, it just makes sense. The race is now on, to learn as much as we can about this amazing new tool, kicking the tires and learning how it will fit into our organizations at GA. I hope you all enjoyed the presentation from Microsoft today, and if you missed it, be looking for more content. It is sure to come pouring out everywhere! Teams isn't free for E3 or E5 plans? Microsof company Office provides home and business document processing with ease, alcoda software the latest in the range of Office applications is Office ten which is soon to be released.